Breakfast Enchiladas—filled with savory sausage, eggs, and cheese—are smothered with a versatile green chili cheese sauce. 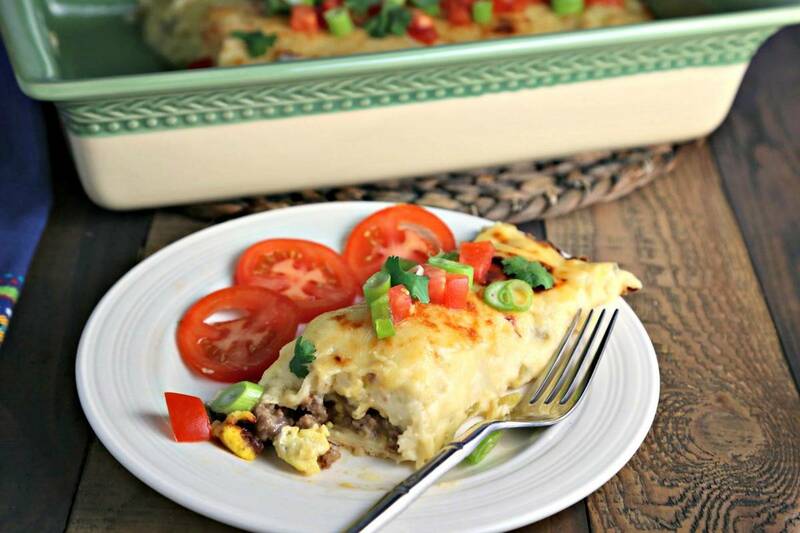 Make-ahead breakfast casseroles are one of my favorite menu items for holiday brunches. 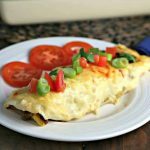 Today’s recipe for Breakfast Enchiladas has a little Tex-Mex flair and is not only delicious, but makes a festive Christmas breakfast dish when garnished with diced red tomatoes and green onions. I know we have just barely finished celebrating Thanksgiving, but it always seems that Christmas slips up on me. 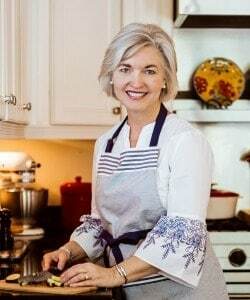 There’s just so much going on with parties, church music, and other events, so planning ahead for holiday menus just helps me to enjoy all of it so much more. Less stress is best! Breakfast Enchiladas can be assembled and refrigerated overnight without baking. 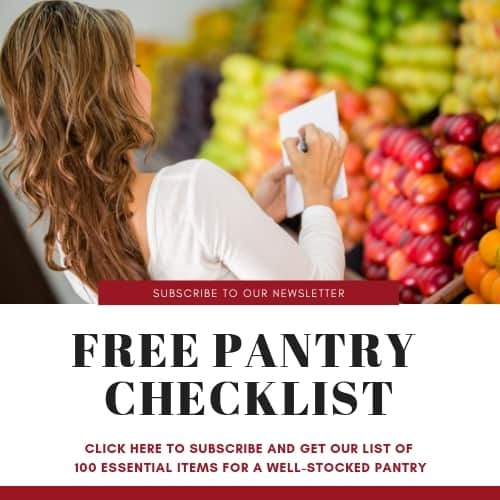 To prepare the next morning, just let the casserole stand at room temperature for 30 minutes; then bake as directed while you enjoy visiting with your family or guests. Our family enjoyed this breakfast during Thanksgiving weekend. It was a nice change from all the leftover turkey! Serve the enchiladas with diced tomatoes, sliced green onions, cilantro and hot sauce, if you like it with a bit more spice! We all decided that the homemade green chili cheese sauce would also be great as a topping for chicken enchiladas. Basically, make this dish the same way only with shredded chicken instead of the eggs and sausage. 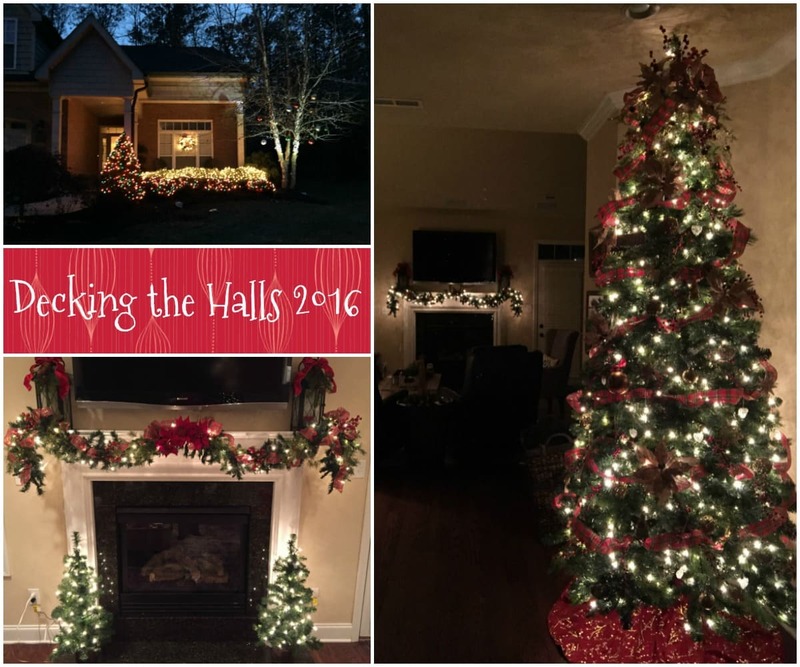 On a personal note, the rest of our Thanksgiving weekend was spent putting up our Christmas lights and “decking the halls”. I love this time of year and the wonder of it all! How blessed John and I were to host our family Thanksgiving meal (for 20 people!) and to spend the rest of the weekend with our kids doing a little decorating, a little shopping, and seeing a live production of A Christmas Carol. It was a great way to start our Christmas celebrations. God Bless us, everyone! Rustic Sausage and Grits Egg Skillet — Bake and serve in cast iron for a deliciously fun country brunch with layers of cheesy grits, sausage, and eggs. 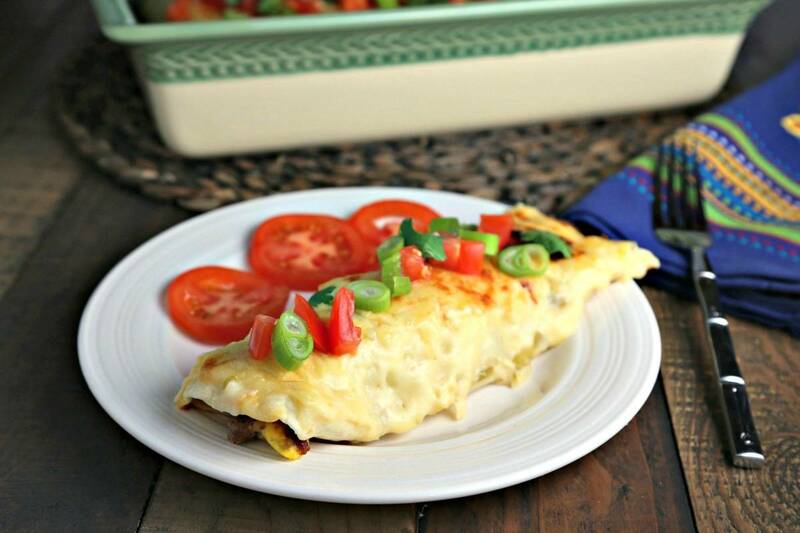 Southwestern Breakfast Frittata Casserole — This dish has a soft tamale-like texture and is loaded with pepper jack cheese and garnished with thinly sliced fresh tomatoes. California Quiche — A veggie lover’s egg dish with fresh zucchini, red bell peppers, onion, and artichoke hearts. Classic Quiche Lorraine — Named for the Lorraine region of France, this egg custard is baked in a pie crust with crisply fried and crumbled bacon, sliced scallions, and Swiss cheese. 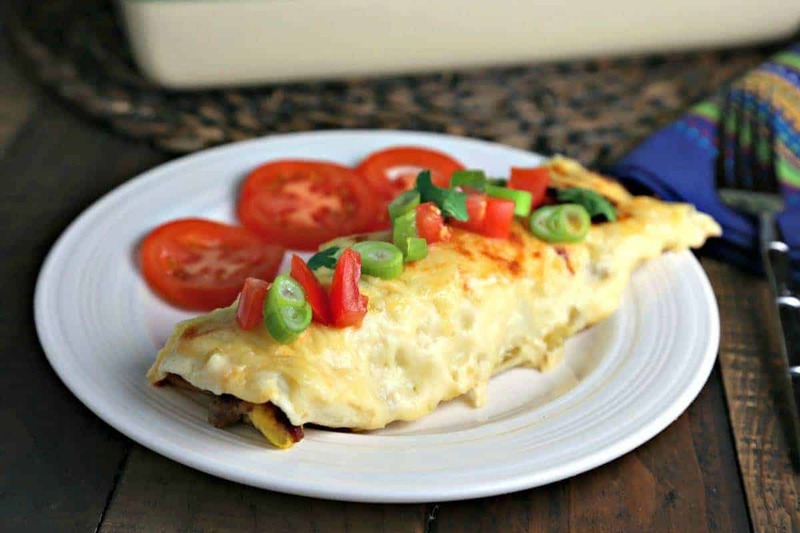 DID YOU MAKE THIS BREAKFAST ENCHILADAS RECIPE? Melt butter over medium-low heat in a heavy saucepan. Add flour and whisk until smooth. Cook and whisk constantly for about 1 minute. Gradually whisk in the milk; and cook for 5 minutes or until thickened. Continue whisking while cooking to avoid lumps. Remove from heat, and stir in salt, cheese, and green chilies. Set aside. Preheat oven to 350 degrees. Prepare two 9x13 pans by spraying lighting with cooking spray. Set aside. Crumble sausage into a large nonstick skillet and cook over medium-high heat until it is no longer pink. Remove from pan and drain well on paper towels. Melt butter in a large nonstick skillet over medium heat. Add green onions and cilantro, and sauté 1 minute. Beat eggs with the salt, and pepper. Pour into the skillet and cook without stirring until eggs begin to set. Draw a spatula across bottom of pan to form large curds and continue to cook until eggs are thickened but still moist. Remove from heat, and gently fold in the sausage and 1 1/2 cups of the Cheese Sauce. Evenly divide the mixture between the 10 tortillas by spooning about 1/2 cup down the center of each tortilla. Roll up and place seam side down in a baking dish. You should be able to fit five enchiladas in each dish. Pour remaining Cheese Sauce evenly over tortillas and sprinkle evenly with Monterey Jack cheese. Bake for 30 minutes or until sauce is bubbly. Garnish with tomatoes, green onions, and cilantro, if desired.